From the start of this year, I have picked up two wonderful habits, blogging and drinking green tea. Green tea has numerous health benefits. Its main reason is that it is rich in anti-oxidants, mainly the anti-oxidant “EGCG”. There are naturally occurring particles in the body known as free radicals that are associated with ageing and many diseases. Anti-oxidants slow down the formation of free radicals. Anti-oxidants protect our cells, make our immune system stronger and keep our skin young and healthy in the long run. Another benefit that green tea is known for is weight loss. Green tea increases body metabolism and thus helps in losing weight. 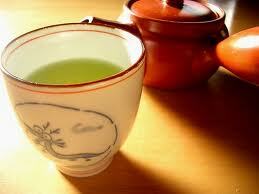 EGCG present in green tea is also known to inhibit the growth of cancer cells. And beat this, the doctor suggested green tea to my brother for hair loss! There are many types of green tea present in the market. For starters, you can try out the tea bags which are convenient to use. Also there are many flavours available in the market. Right now I am hooked to Tetley green tea “honey and lemon”. A pack of ten Tetley tea bags costs INR 42. I have tried the other flavours too and like this one the best. Tetley says: Normal cellular processes as well as environmental factors like pollution, smoking and stress result in the formation of harmful molecules called free radicals in our body. Antioxidants inhibit the harmful effects of free radicals, preventing damage to healthy cells and tissues. 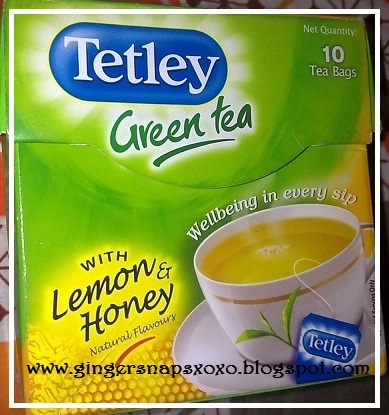 Tetley green tea is rich in naturally occurring anti-oxidants a wonderful way to protect you from within! omg..finally i found someone who seems to love green tea as much as i do. blogging while drinking green tea is the best. Thanks for the last tip. I drink a lot of green tea too. I like the Dilma Morracan Mint. It is really great. @Asta oh yes. even i like blogging with green tea!! @viya -i have tried twinning too. its just as good. Hahah 'drink green tea for god's sake' sounds better. But alas! whatever i do i just cant stand the taste of green tea. Though I know how beneficial it really is. GREAT blog! you are so interesting and inspirational! i love it! if you get the chance to check out my blog i would love to see what your opinions are on it! Oh my goodness, green tea is the best thing EVER. There's no denying it. I drink green tea basically every day. So healthy and everything you said is SO TRUE. i am staying in mumbai..want to buy green tea..where do i get it from??? I just love the yu structure yur articles :D... Keep going with the good work....and this article is really informative and your blog is one inspiration for journalism students like me to strt blogging..:D.